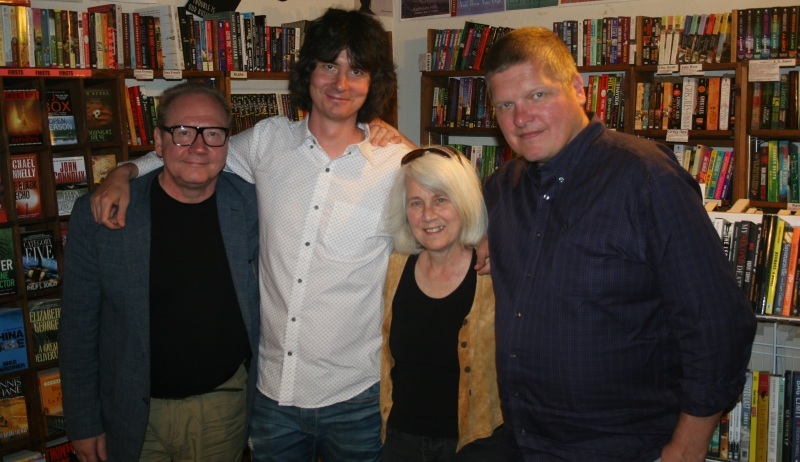 It could be a record – three Finnish crime fiction authors together at a single event in North America. It was also a lot of fun. I had a chance to meet the authors – Antti Tuomainen, Jari Tervo, and Jarkko Sipila – at my favorite bookstore, Once Upon a Crime, and then used the excuse of delivering a book needed for display purposes to hear the authors speak at FinnFest without actually registering for the event. (There seemed to be quite a lot of registrants, so I didn’t feel too guilty.) I also enjoyed finally meeting Juokko Sipila, publisher of Ice Cold Crime, which is doing a lot to bring translated Finnish literature to American readers. While it will take me a while yet to post reviews of Tervo’s Among the Saints and Sipila’s latest Helsinki Homicide entry, Darling, I wanted to write about the authors’ appearance before I can’t make out the scribbled notes I took. I won’t be able to review Antti Tuomainen’s next book until it comes out later this year or in 2015, but I will. One thing that interested me is that, while people often speak of Scandinavian crime fiction as if it’s all somehow similar, these three writers are very different in style. Jarkko Sipila, who works as a television crime reporter in Helsinki in addition to writing 19 crime novels to date, writes in a style that would be familiar to fans of Ed McBain’s 87th precinct series. It’s an ensemble police procedural with an emphasis on representing crime and cops as realistically as possible. Jari Tervo is a huge celebrity in FInland, hosting a talk show that is wildly popular in addition to having published 23 books, three of which are crime stories. The only one to be translated is Among the Saints, just released, Like Sipila’s approach to urban crime, he’s interested in capturing the strange reality of life in northern Finland, through a raucous multi-voiced story about a murder, There are 35 narrators, with the first being the hapless victim, who starts the book with “I was killed the first week of May. It wasn’t even ten o’clock in the morning.” Where Sipila’s reality is gritty, Tervo’s is Rabelaisian. Tuomainen’s novel is about yet another kind of reality – the one we face as our planet’s climate changes. He imagines a world where refugees have fled north, the wealthy have retreated into guarded compounds, and a man tries to figure out where love and poetry belong in a time of chaos. So, three completely different approaches to crime fiction – but a lovely trio when it came to talking about their writing. Jari Tervo grew up in Rovaniemi, capital of Finland’s northernmost province and a center for tourists who want to see norther lights and learn about Saami culture. He wants to portray what life in this part of Finland is llike, and among the many voices in Among the Saints, we meet some really goofy characters. I asked how his portrayal of the north is recieved by northerners and he said they love it because they feel it truly captures their experience. He also, speaking at FinnFest, commented that light is a factor – living in darkness in the winter and constant light in summer tends to a certain amount of craziness. Tervo’s publisher has described his style as “Quentin Tarantino meets William Faulkner.” If we borrow zaninesss and a bit crime from Tarantino and the almost ethnographic community ensemble from Faulkner, this makes sense – but Tervo himself settled for “brilliant, yet cheap.” (He’s much funnier than Tarantino or Faulkner.) When he writes, he comes up with the first sentence and the last. “Then all I have to do is write the 300 pages in between.” Rather than have a detailed outline, he likes to see where things go: “writing is discovering.” He also talked about how difficult it is to translate a novel into film because you have to trim so much out. “A novel inhales a huge amount of information,” he said. Jarkko Sipila’s first name in pronounced “YARK-ko” but when he was a small boy, he lived in Columbus, Ohio while his father attended graduate school at Ohio State. He was used to Americans mispronouncing his name and was quite excited about his fame when ads for Jarkko filters ran on television (since he was used to people calling him “charcoal”). He started to study engineering, but decided “Finland would be better off without bridges designed by me” so instead studied to become a journalist (which is also Tervo’s background). He grew frustrated reading about police in fiction who had floridly dysfunctional personal lives, yet were able to solve crimes singlehandedly with their brilliance. In reality, police officers suffering from alcoholism and traumatic stress wouldn’t be working, they’d be hospitalized. His police officers work as a team under the leadership of Kari Takamäki, a character who he says he has made deliberately a bit unexciting. When I asked about the experience of writing for Finns but having a much wider audience, he said that police have something in common worldwide. They want to catch the bad guys. In a sense that makes the police proedural an easily exported genre. A member of the audience asked whether it was problematic writing about crime in a country where there was so little of it. Sipila pointed out that while Finland has half the crime rate of the U.S., it has twice as many homicides as Sweden and four teimes as many as Norway. One contrast to the U.S., though, is that while gun ownership is quite high in Finland, guns are rarely used in homicides. Knives are a more common weapon. “We like to get in close,” he joked. He also mentioned that crime fiction became popular in Finland in the mid-1990s and he felt it was a response to the recession the country was going through at the time, that people were particularly receptive to the idea of violence having a reason behind it, of justice being served in fiction if not in daily life. Antti Tuomainen is newer to publishing books (and the other two made a lot out of his having merely published five as opposed to 19 and 23!) Perhaps because his early writing career was in advertising, he came up with a catchy conept for The Healer: since it is a crime story, a romance, and a futurisitic dystopia, you get three books for the price of one! I asked him if he had any theories about why dystopia is suddenly so much a part of our popular culture and he wasn’t sure, other than that the impact of global warming is inescapably evident. He also pointed out that his dystopian novel predates The Hunger Games and all the ensuing imitations, so he was in the distrous future ahead of the pack. Unlike Sipila, who writes an outline, drafts a book in about two months, then does several revisions that take another couple of months, Tuomainen’s stories take longer to come together. “I can write a synopsis,” he said. “I just can’t stick to it.” He discovers things as he goes along, and he also senses when something isn’t right. He described it as being “out of tune,” something that is just discordant in the narrative and has to come out. One of his books was recently optioned for film. When he was asked if he would like to write the script, and he immediately said no. A script requires so many rewrites and so many changes demanded by others that he would find it a frustrating and time-consuming venture. His next book to be translated is titled Dark as My Heart, about a man who wants to find out what happened to his birth mother who disappeared when he was a child. It will be out in the UK from Harvill Secker next year; he told me there may be an ebook version available as soon as October. I look forward to it. Thanks to Juoko Sipila, FinnFest, and Once Upon a Crime for hosting such an enjoyable encounter with these three fine – and very different – Finnish writers. My book haul for the day. Three Finnish crime authors will be in Minneapolis in August to participate in Finnfest USA an annual national gathering for all things Finnish. They are participating in FinnFest USA, an annual event that is being held in Minneapolis this year (fittingly, since the first Finnish communities were established in the US 150 years ago by Finns who arrived in Red Wing with the intent to settle and retain their Finnish cultural identities in an area that was being settled by many Nordic immigrants). 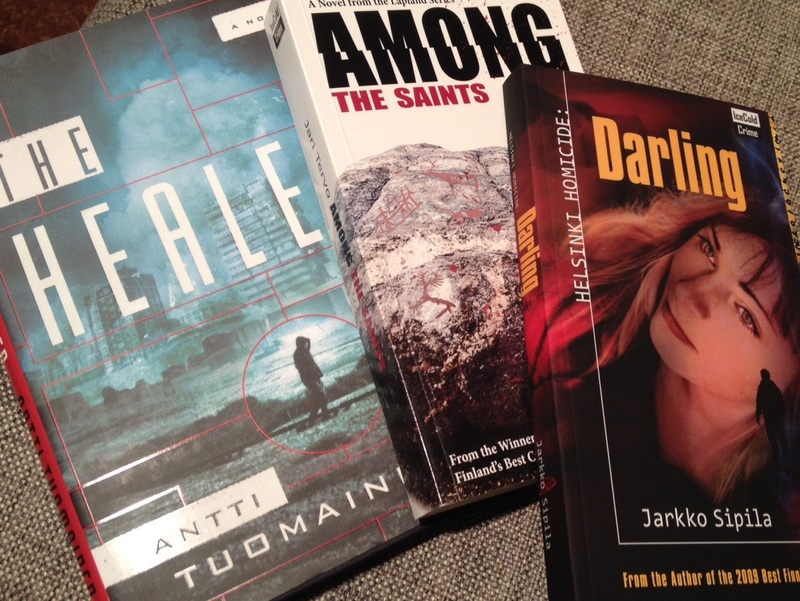 This may be the only time three Finnish crime authors have appeared together in the US. They picked a wonderful store as their host. I hope to attend the event and report back. Meanwhile, here are my previous reviews of Tuomainen’s The Healer and Sipila’s Against the Wall, Vengeance, Nothing But the Truth, and Cold Trail. In November, you can travel to Iceland for the second Iceland Noir festival of crime fiction. Along with a great many Icelandic authors and authors who set their books in Iceland, you can meet writers from as far away as South Africa. Johan Theorin of Sweden and Vidar Sundstol of Norway will also be on the program. There will also be a Snæfellsnes Mystery Tour with Yrsa Sigurðardóttir to the remote and rugged setting of her ghost story, My Soul to Take. In Cold Trail, a man who has been serving a prison sentence for murdering his wife in a drunken argument is escorted by prison guards to his father’s funeral, after which he takes advantage of the guard’s inattention to slip away. As the police pursue the escaped convict, they begin to question whether he may have actually been falsely convicted. While a team of detectives work on the case, Kari Takamaki’s son is knocked off his bike in a hit-and-run incident. Though police in another jurisdiction are supposedly dealing with the crime, Takamaki investigates on his own, knowing they aren’t putting much effort into it. The story proceeds, alternating perspectives of the police team on the hunt and the escaped convict, who insists on his innocence and is bent on evening the score. It builds to a dramatic conclusion, but also ends on an intriguing note of ambiguity that left me thinking about the book after I had finished reading it. In an era in which thrillers tend to involve heroes saving the world from terrorist plots or tormented cops who up against deranged serial killers with a florid taste in gruesome murder scenes, Sipila’s series offers refreshingly down-to-earth but thoroughly involving stories in which the criminals are not monsters and the cops are not gods. I particularly liked the way our understanding of the escaped criminal got more and more complicated as his flight proceeded. I’m very pleased that Ice Cold Crime is publishing them in well-translated and affordable editions, and grateful to the publisher for providing me with a review copy. It took me a while to read it, though, because my husband grabbed it first. He liked it, too. There’s also an interview with the author at The Big Thrill. Finnish author Jarkko Sipila will be appearing at Once Upon a Crime in Minneapolis on June 15th between noon and 2pm. 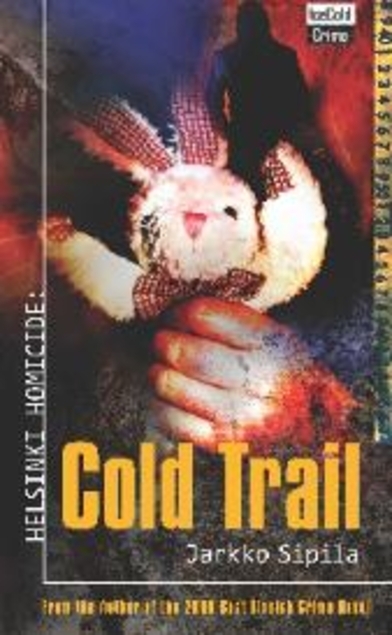 I’ve read and reviewed three of the four police procedurals by Sipila now available in English, thanks to a small publisher devoted to translations of crime fiction from Finland, Ice Cold Crime. All of the translations by Peter Ylitalo Leppa have been excellent. The series has won awards in Finland and has been made into a television series. Sipila’s books are characterized by gritty realism, with a group of cops led by Kari Takimaki who we get to know quite well doing their best to maintain the peace in a country where Eastern and Western Europe collide and the criminals are bad guys, but entirely human. I’m looking forward to reading the latest entry and grateful to Ice Cold Crime for bringing them to an English-speaking audience. If you make it to Once Upon a Crime, hang out and you’ll get to meet Craig Johnson (author of the Walt Longmire series) who will be arriving at 3:30. 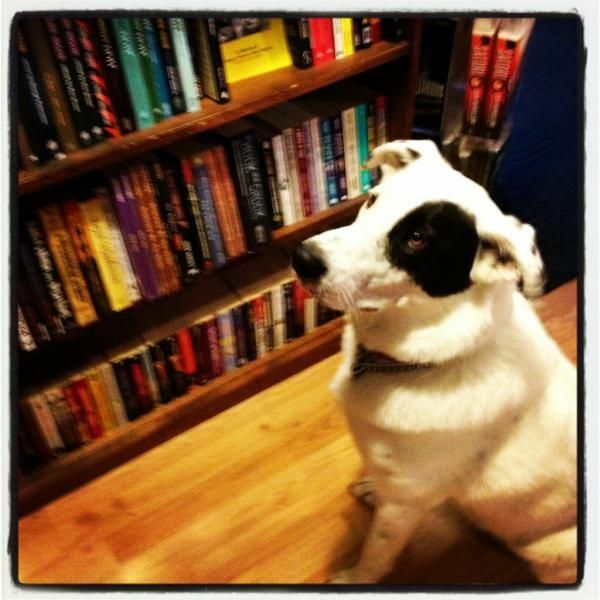 Once Upon a Crime is a happening place, as Shamus could tell you. Catching up on a backlog of reviews and other things … I thought this time I would be geographically organized. Break out your wallets; Simon Clarke provides a tempting list of recent and forthcoming translations. Norm has a poll going at Crime Scraps on which women crime writers from Nordic countries are most popular, his first entry in the Sisters in Crime 25th anniversary book bloggers’ challenge. More praise for Adler-Olsen in the Winnepeg Free Press, with a shout-out to the translator. Dorte offers some intriguing commentary on the background of a book in the Department Q series, not yet translated into English. Fascinating stuff, and something to look forward to. Violette Severin visits Denmark on a Europass challenge. I review Jarkko Sipila’s Nothing but the Truth, which I enjoyed quite a lot. Maxine reviews the author’s Against the Wall and finds it a pretty good police procedural. Maxine also reviews Sofi Oksanen’s Purge and sparks off a debate about whether it should be considered crime fiction or not. The paperback release is trending that way, though it’s more of a historical saga. Whatever it is, she found it extremely good. At How Mysterious! Karen Miller Russell finds her patience with Karin Fossum running out, being particularly unhappy with The Water’s Edge (which I liked a great deal). The author’s focus on crimes involving children has made her lose interest – though Maxine, in a comment, may have coaxed her to give The Caller a try. Jose Ignacio Escribano takes a look at K. O. Dahl’s police procedural series featuring Gunnarstand and Frolich to remind himself that Lethal Investments will be released soon. Jose Ignacio Escribano reviews Sjowall and Wahloo’s The Locked Room (in both English and Spanish), the eighth in the Martin Beck series. Lynn Harvey reviews Camilla Lackberg’s The Preacher at Euro Crime, enjoying the contrast between the main character’s loving home life and the convoluted (perhaps too convoluted) troubles of the family embroiled in tragedy. Incidentally, Philip reports in the FriendFeed Crime and Mystery Fiction room that Lackberg is getting involved in a television series and feature films and will be slowing down her book publishing schedule as a result. Bibliojunkie (who is not looking for a cure) is impressed by Hakan Nesser’s Woman With Birthmark, saying it’s “very well constructed and elegantly told” in a thorough and insightful review. The Sunday Business Post (Ireland) has a lengthy and interesting interview slash profile of Liza Marklund exploring her motivation as a writer and a politically-involved journalist and documentarian. And oh, look who wrote the interview – Declan Burke! No wonder it’s so well done. In Nothing but the Truth, Mari Lehtonen, a single mother, witnesses a gangland murder and decides, after some inner struggle, to heed the requests being broadcast by the police for witnesses to come forward. Though this seems to be the way people ought to behave, she soon realizes the gangsters whose dispute was settled with a bullet see it as a shocking breach of thug etiquette, the police are surprised (but pleased), and she has put her daughter’s life in danger. When the killers tries to shut her up, the police move the woman and her daughter to a safe house, but she is outraged by the fact that her act of good citizenship has made her a prisoner – while the criminals remain free. There’s not much that Detective Lieutenant Kari Takamaki can do, other than counsel patience and offer protection until her testimony is given. There’s not even a guarantee of a conviction, given that the criminal organization can afford good lawyers. While Takamaki and his police team try to keep their witness under wraps, Suhonen, an undercover cop who seems equally at home in the squad room and among the subjects of his investigations, breaks the news to the victim’s father, a career criminal himself who has his own ideas about the course of justice. This is a fascinating story about the various players involved in crime – the police and the criminals who understand the rules of engagement and an ordinary citizen who doesn’t care about those rules, but believes she shouldn’t be punished for doing the right thing. One of the criminal characters describes the ongoing battle between him and the police as a war, one that only accidentally catches up civilians as collateral damage; another criminal describes the situation as maintaining the “balance of terror, just like in Soviet times.” Only Mari Lehtonen seems to have a clear view of right and wrong, and this seemingly mousey woman turns out to have a firm spine and stubborn courage. Sipila’s world is gritty, but not cynical, and he tells a lively, well-paced story without favoring outsized dramatic situations or moral dilemmas over human-sized conflicts. In other words, he doesn’t write the kind of emotion-laden morality plays that seem so popular in the US thriller market. That’s one reason why this story feels fresh. In an effort to explain to undergraduates who haven’t read a lot of crime fiction how varied the genre is, I have this diagram I sketch out on the board, with an axis that represents the spectrum from light to dark and another one that runs from realistic to mythic. Some dark thrillers are no more realistic than the fluffiest of craft cozies; some light mysteries do a good job of representing the incursion of violence into an otherwise ordinary situation, which is more real to most of us than, oh, serial killers or ninja assassins or heroic cops on a mission from God. I’m not sure this is the best way to diagram variations on the mystery, but it’s what I’ve come up with. Sipila’s police procedurals edge into the darker end of the spectrum, without being gruesome or stylishly nihilistic in the noir tradition. On the realism – mythic axis, however, they are firmly at the realistic end of the scale. The bad guys can be really bad, but they’re human. The cops are good, but human, too, and their limitations are disillusioning to Mari Lehtonen, whose refusal to be a casualty in the war between cops and crooks is quietly heroic. Kiitos to the publisher for providing me with a review copy. Shelf Awareness dedicates an issue of its “maximum shelf” to it as well. NancyO reviews Arnaldur Indridason’s Outrage, finding it a good addition to the series though, with its focus on Elinborg as the detective this time, she finds the domestic bits a tad overdone. She also reviews Arne Dahl’s Misterioso, and recommends it, though it won’t deliver edge-of-the-seat thrills so much as solidly-assembled ensemble procedural work conducted by a large cast of police. She plans to read as many in the series as she can, though it has taken ages for this first English translation to actually appear. Glenn Harper is not mesmerized by Lars Kepler’s The Hypnotist. There’s an interview with Asa Larsson in The West Australian, in which she says her own past not only involves growing up in Kiruna and being a lawyer, like Rebecka Martinsson, but also a period of time involved with a fundamentalist church, which is interesting in view of the themes of her first two books. He also gives Jarkko Sipila’s Nothing but the Truth high marks, saying it is “a very entertaining, suspenseful and excellently plotted crime fiction novel” that raises important questions about the role citizens play in criminal justice. I just recently finished this myself, and agree – review to follow soon. Jose Ignacio Escribano thinks that Karin Fossum’s Bad Intentions is not the best of her books, but still worth a read, being disturbing, intense, and intelligent. He also gives Arnaldur Indridason’s Voices high marks for being humane and well-written, as well as complex, dealing with the theme of stolen childhood sensitively. Karen Meek reviews the audio version of Camilla Lackberg’s The Gallows Bird, which she feels has a rather disappointingly hole-prone plot but is nevertheless an entertaining story, nicely narrated by Eammon Riley. Maxine Clarke thinks very highly of Johan Theorin’s third book in the Oland quartet, The Quarry, which is no doubt going to be a strong contender for the CWA’s International Dagger. Quentin Bates has lived in Iceland, but is not an Icelander, yet makes it his fictional home. Crimeficreader (Rhian Davies) enjoyed his mystery, Frozen Out, particularly enjoying the strong female lead, ‘Gunna’ Gunnhildur Gisládottir. Dorte Hummelshøj Jakobsen traveled in the opposite direction; this Danish author’s ebook mystery, The Cosy Knave, is set in Yorkshire, and has been discussed by two Australian readers, Kerrie and Bernadette, who has been in on the mystery from the start. Bernadette also reviews Thomas Enger’s Burned, a “solid debut” that didn’t have its plot entirely under control, but has strong characters, even those that are not at all likeable. Despite the persistent assumption that some literary forms are inherently more formulaic than others, all writing relies on genre markers, and “genre” itself is a notoriously unstable term, invoking categories that are both permeable and endlessly mutable. The real issue — the critical issue — is how form is used, what it enables us to discover. We shouldn’t ask whether crime fiction needs to transcend its traditional forms, but rather how those forms have evolved, and what they have made possible. . . . Sjöwall and Wahlöö are among those who show that, in the hands of visionary and capable writers, crime fiction can simply be great literature. The only transcendence required is the reader’s. Norm and the new translator of the Annika Bengtzon series untangle the series order for us. It’s a bit unusual for a publisher to spring for all new translations of a previously translated work, unless you are Tolstoy. But, to stick to publishing tradition, they are giving books new titles to make it all more exciting to shop and are keeping the US and UK publications out of sync. Good to know they aren’t breaking all the rules. Looks as if Leif G. W. Persson’s series about Evert Backstrom is destined for the American small screen. Peter Rozovsky, always on the lookout for humor, finds some in Three Seconds. 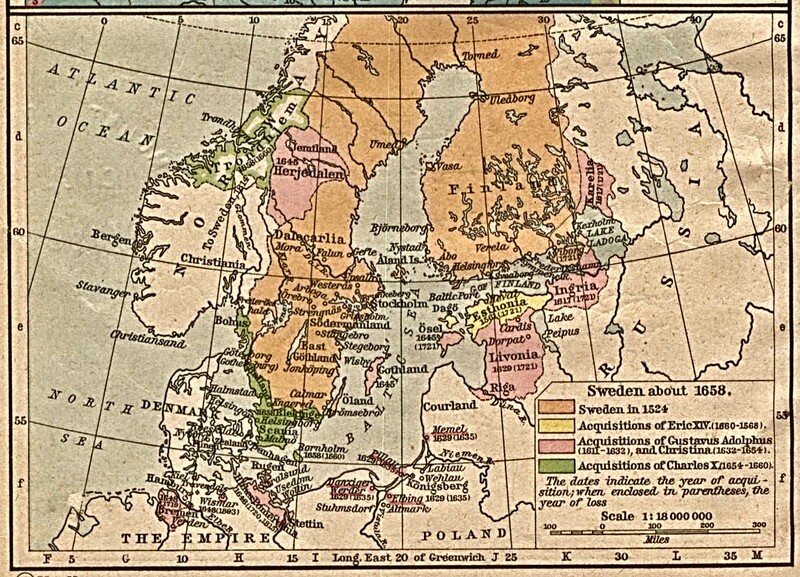 He also notes a lot of border-crossing going on in Swedish crime fiction that harkens back to the old days of the Hanseatic League. And finally, I’ve mentioned it before but I owe the Crime & Mystery Fiction friendfeed group, founded by Maxine Clarke, an enormous debt for finding and commenting on so many fascinating links related to the genre. Not only is it a good place to find out what’s going on, it’s inhabited by charming and well-read fans of the genre.